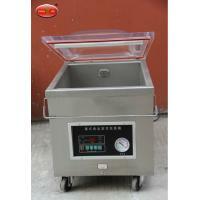 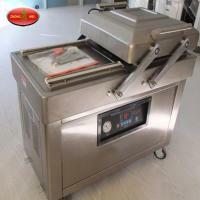 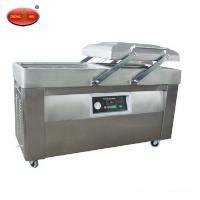 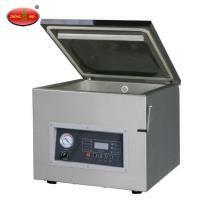 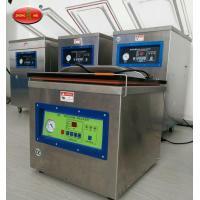 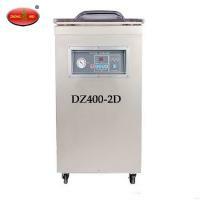 Keywords:Vacuum Packaging Machine,Vacuum Sealer,External Vacuum Sealer,External Food Vacuum Sealer. 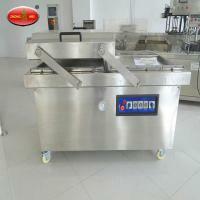 thickness at customers’ option. 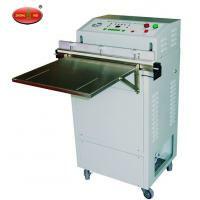 This machine comes with an unpowered lift-down conveyor,it can lift and down easily in the adjustment range from 0-700mm according to packing items. 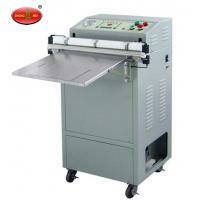 This machine has a standard sealer in the length of 600mm, also it is OK to lengthen to 700-1000mm if customers need. 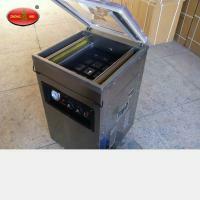 1.Control system: OMRON programmable PLC, text display. 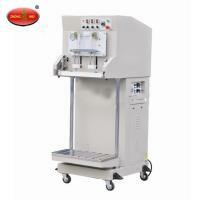 3.External vacuum suction structure: Two cylinders, two suction nozzles. 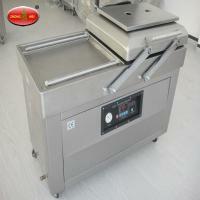 4.Lift-down conveyor, easy in operation.